Pope Benedict XII (died April 24, 1342), born Jacques Fournier, was Pope from 1334 to 1342. Little is known of the origins of Jacques Fournier. He is believed to have been born in Saverdun in the Comté de Foix around the 1280s to a family of modest means. He became a Cistercian monk and left to study at the University of Paris. In 1311 he was made Abbot of Fontfroide Abbey and quickly became known for his intelligence and organizational ability. In 1317 he was made bishop of Pamiers. There he undertook a rigorous hunt for Cathar heretics, which won him praise from religious authorities, but alienated the local people. His efforts against the Cathars of Montaillou in the Ariège, were carefully recorded in the Fournier Register which he took to Rome and deposited in the Vatican Library. This has been documented by Emmanuel Le Roy Ladurie's pioneering microhistory, Montaillou, village occitan. In 1326, upon the successful rooting out of the last - it was believed - heretics of the south, he was made Bishop of Mirepoix in the Ariège. A year later, in 1327, he was made a cardinal. Fournier succeeded Pope John XXII (1316–34) as Pope in 1334, being elected on the first conclave ballot. But he did not carry out the policy of his predecessor. He practically made peace with the Emperor Louis IV, and as far as possible came to terms with the Franciscans, who were then at odds with the Roman See. Benedict XII was a reforming pope who tried to curb the luxuries of the monastic orders, though without much success. He also ordered the construction of the Palais des Papes in Avignon. He spent most of his time working on questions of theology. He rejected many of the ideas developed by John XXII. In this regard, he promulgated an apostolic constitution, Benedictus Deus in 1336. This dogma defined the Church's belief that the souls of the departed go to their eternal reward immediately after death, as opposed to remaining in a state of unconscious existence until the Last Judgment. Though some claim that he campaigned against the Immaculate Conception, this is far from clear. He engaged in long theological debates with other noted figures of the age such as William of Ockham and Meister Eckhart. A note on the numbering: Pope Benedict X is now considered an antipope. At the time, however, this status was not recognized and so the man the Roman Catholic Church officially considers the tenth true Pope Benedict took the official number XI, rather than X. This has advanced the numbering of all subsequent Popes Benedict by one. Popes Benedict XI-XVI are, from an official point of view, the tenth through fifteenth popes by that name. Benedict XII, given name Jacques Fournier, Roman Catholic Pope from 1334 to 1342, the son of a miller, was born at Saverdun on the Arriège. Entering the Cistercian cloister Bolbonne, and graduating doctor of theology at Paris, he became in 1311 abbot of Fontfroide, in 1317 bishop of Pamiers and in 1326 of Mirepoix. Created cardinal priest of Santa Prisca in 1327 by his uncle Pope John XXII, he was elected his successor on the 20th of December 1334. Benedict made appointments carefully, reformed monastic orders and consistently opposed nepotism. Unable to remove his capital to Rome or to Bologna, he began to erect a great palace at Avignon. In 1336 he decided against a pet notion of John XXII by saying that souls of saints may attain the fulness of the beatific vision before the last judgment. In 1339 he entered upon fruitless negotiations looking toward the reunion of the Greek and Roman churches. French influence made futile his attempt to come to an understanding with the emperor Louis the Bavarian. 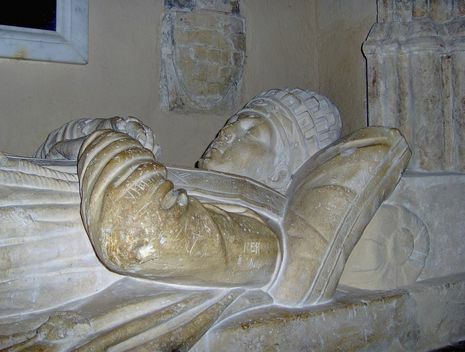 He died on the 25th of April 1342.